Creating our brand new show Splash! Billy Alwen, Co-Director of Splash! 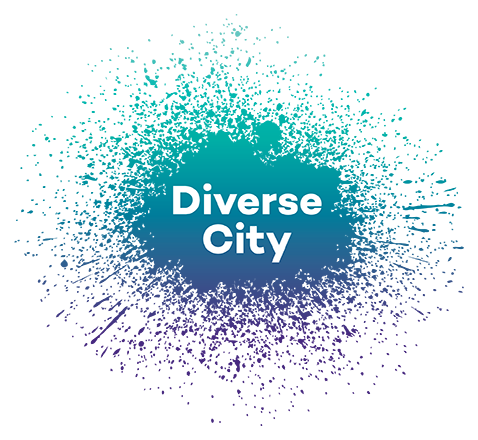 alongside Diverse City’s Jamie Beddard, shares his story, recalling the first creative development week back in January. It’s Monday morning in January, we are in the Curve Theatre’s spacious rehearsal room on the second floor above the main stage and we are about to start the creative development of a new integrated outdoor immersive show called Splash! Every time we start a new show it feels like a gamble. Have we got the right artists in the room, is it the right combination, is the idea going to work, will we get what we need by the end of the week? It doesn’t matter how many times you do this there are so many unknown factors that there is never any certainty in the process. By the end of the first day we knew we had got one thing right and that is we had assembled a really interesting and creative group of artists. In our first few days our aim was to focus on the narrative. We need story tellers in the room and from different perspectives. We had the hugely experienced street theatre artist and creator Richard Headon from Bristol based Desperate Men Theatre Company, someone Jamie and I knew well from previous projects. 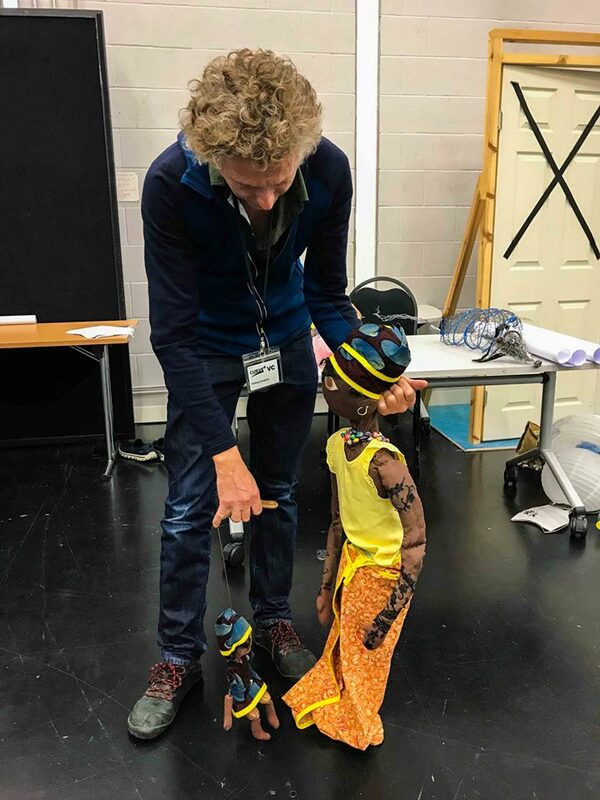 Nikki Charlesworth, a young puppeteer from Nottingham had also worked with us before on the opening and closing ceremonies of the Cerebral Palsy Games and brought some exciting puppetry skills to the team. Laura Guthrie joined us from Nottingham and is leading the design team with Extraordinary Bodies fabricator and artist Will Datson. 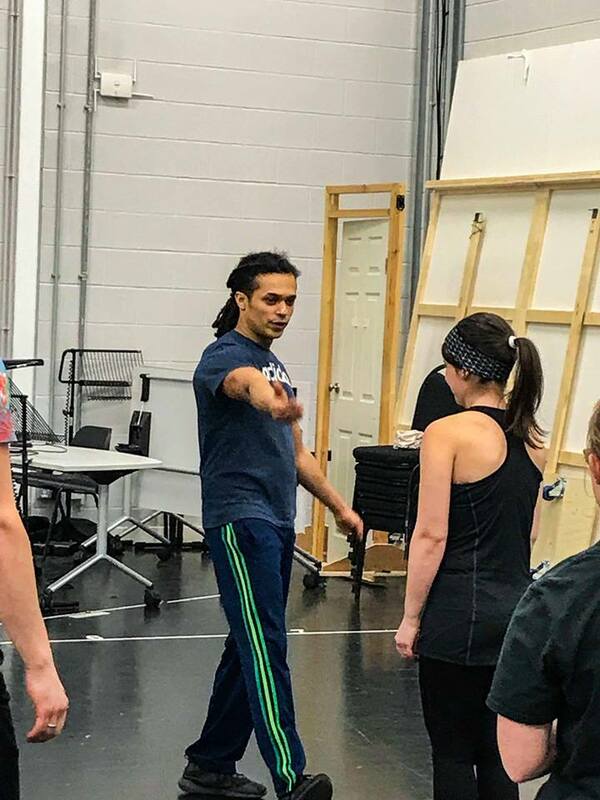 Milton Lopes, an experienced actor and circus artist, worked with both of us on the premier of the first ever Extraordinary Bodies show, Weighting, and brings a lot of devising experience to the project. Our final team member is new to both Jamie and I. Donna Williams is a deaf poet who we spotted at the auditions last November. She is a story teller, artist and performer who we felt would help us tell the story in a simple but beautiful way. We gave ourselves two days to find the story and characters and the world of the show, and incredibly it did all fall into place. The success of this process was down to the magic that happens when the team really gels. Our job as directors was to harness this and focus it, but it is the generous sharing of ideas by all that makes it truly successful. One of the key findings of the first few days was that the show happens in a water world in and amongst the audience where communication will be through visual vernacular, BSL, physical theatre and circus. Only in the upper world on the bank of the canal will speech be allowed. Our next job was to look at the physicality of the show. What does the circus look like? How do the artists move in the two worlds? 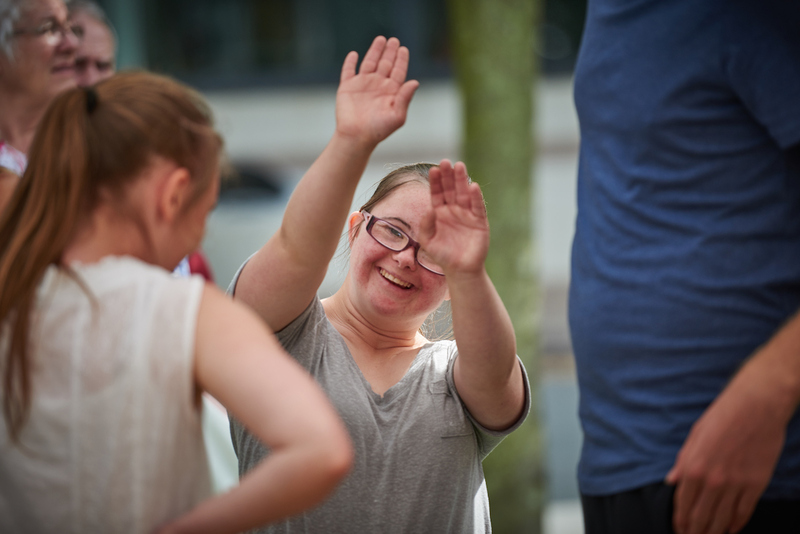 To help find the physical language we brought in three new artists, experienced circus artist Rebecca Soloman, and two young artists, Anna Brookes and Ruth Watts. Designers Laura and Will left us, returning on Friday. We played with movement, acrobalance, acrobatics and puppetry, and we made some fantastic discoveries. One of the most important is that the technique used to animate Nikki’s puppets can also be applied to ‘flying’ an artist acrobatically, and when the two are used to together something poetic and beautiful happens. A story emerges between the puppets and the acrobats that becomes magical particularly when placed in the watery world of the canal and sea. During this work, Donna and Richard spent some time working together on the narrative and the role of the narrator, and brought the first version of the story back into the room. On the last day the design team returned and we started to ‘walk’ through this story, refined, added to it and by the end of the day we were able to perform in a very rudimental way, a version of the show. Around this story, Will and Laura realised the set which really took shape and I think will give our audience a truly immersive experience. So, in all one of the most successful creative development weeks for a show. One reason for this is the planning that went in beforehand to really think through a progression for the week’s work, from story, to physical work, to set and to a complete show. Also having the right people in the room at the right time was crucial. Jamie and my role in the week were more navigating the team though the process rather than as theatre directors. That will come later on. We have much to do in the three weeks in May in the rehearsal room, but we’ve laid down a really exciting foundation for an exciting new show.